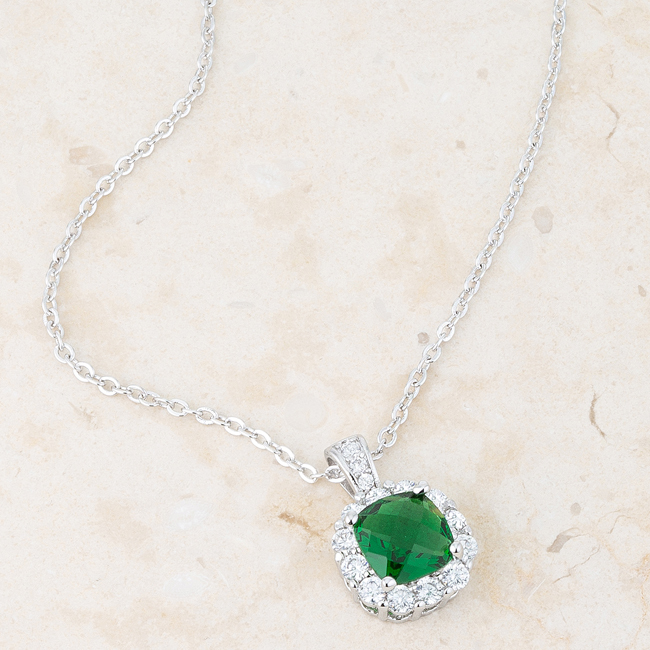 Clear stones surround a large emerald stone in this vintage-inspired drop necklace. 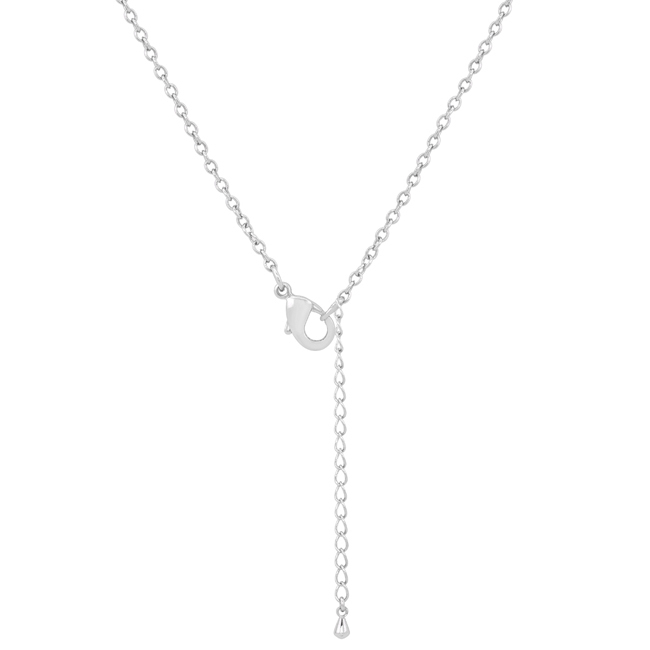 Beautifully versatile this piece is perfect for both formal wear and the days afterwards. 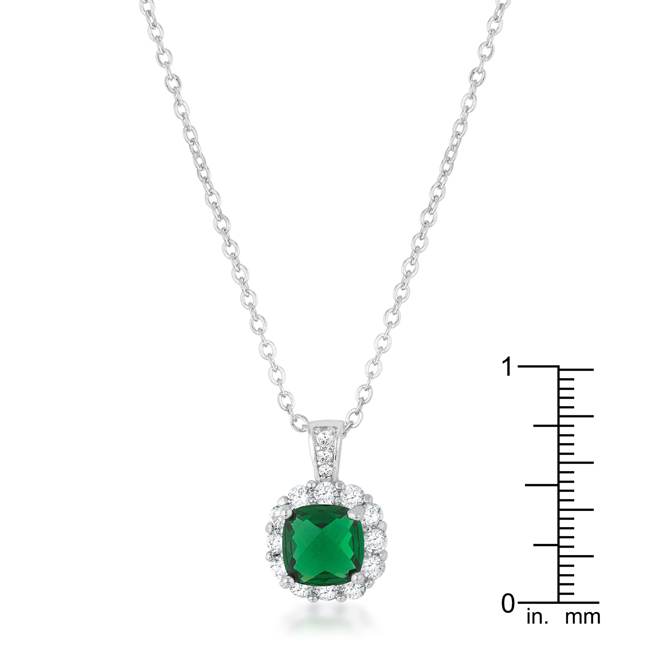 Our genuine rhodium finish is achieved using an electroplating process that coats the item with heavy layers of rhodium a close cousin to platinum. 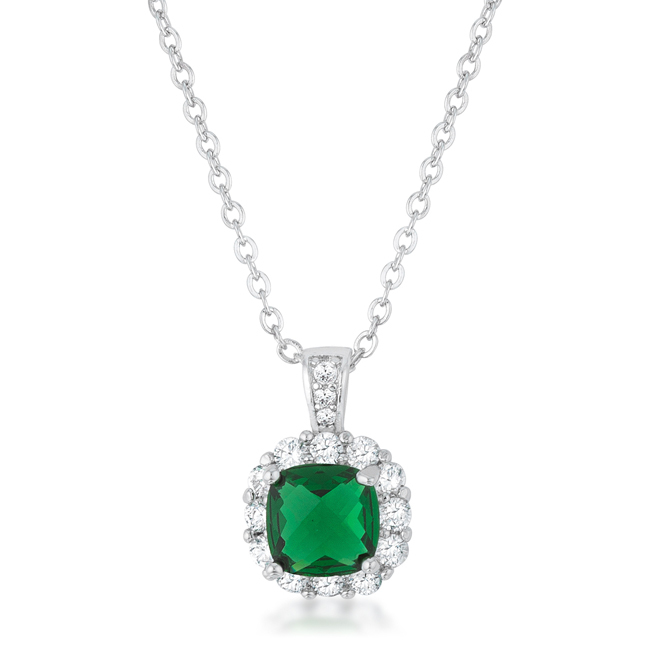 This gives our jewelry a platinum luster.